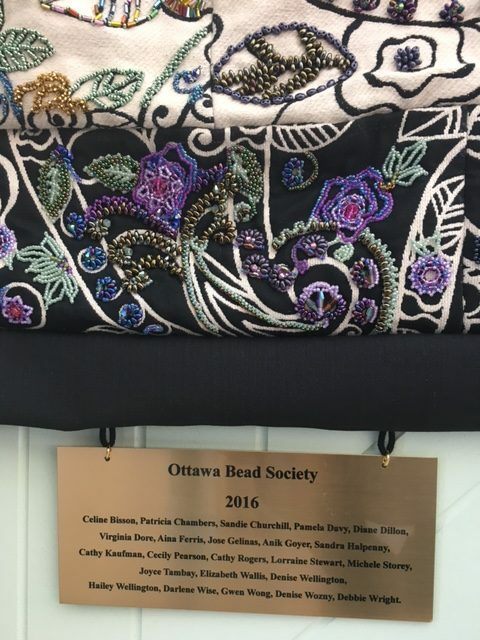 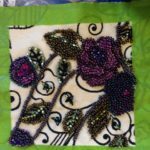 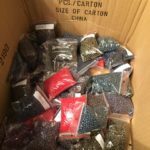 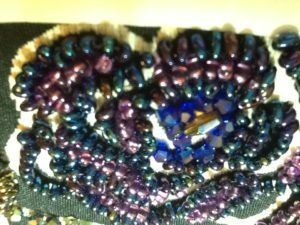 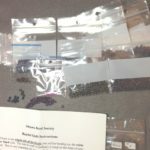 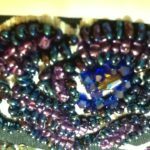 In 2016 the Ottawa Bead Society Communications Officer contacted Preciosa Ornela (http://preciosa-ornela.com), in hopes of obtaining a group discount on seed beads and beads to be used to teach members new techniques. 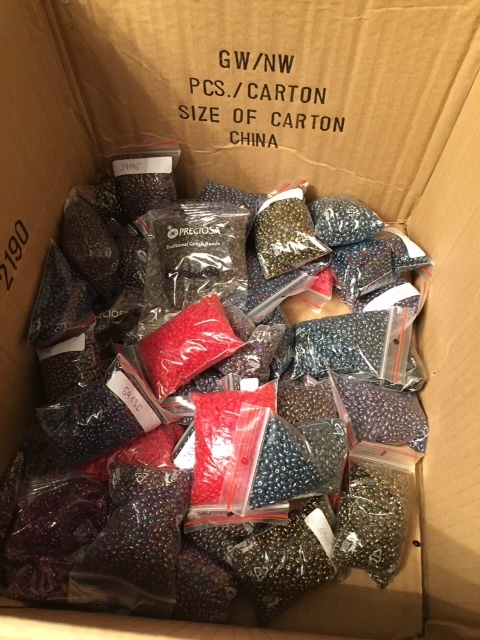 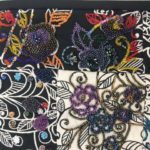 We were thrilled to receive a generous supply of PRECIOSA Twin™ two-hole seed beads and beads, from the PRECIOSA Traditional Czech Beads™ brand. 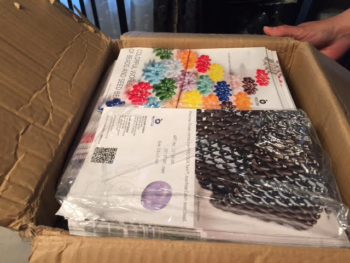 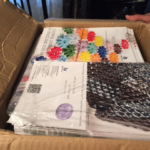 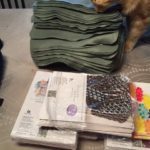 Along with the beads, the box contained pamphlets, project instructions, and enough bead mats for all the members! 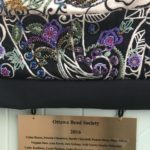 The Board discussed options for projects to be completed by members. 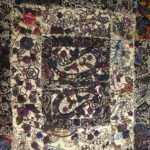 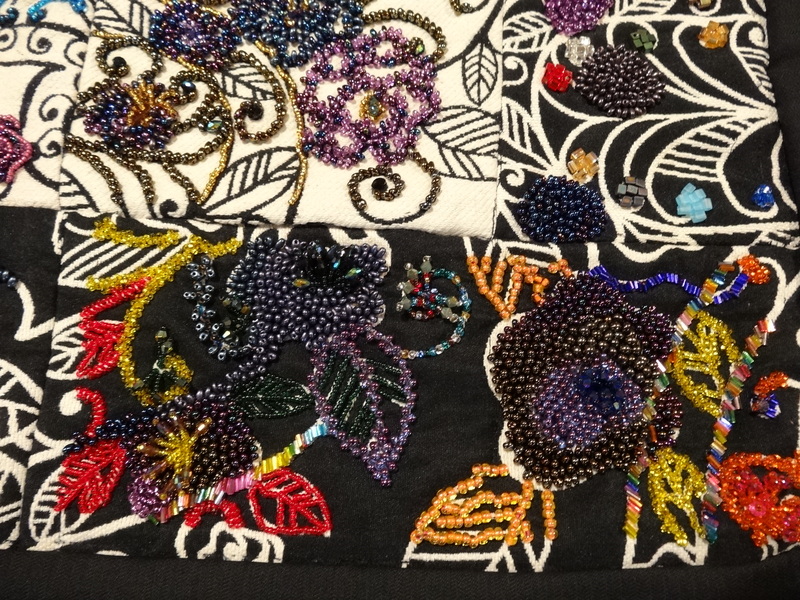 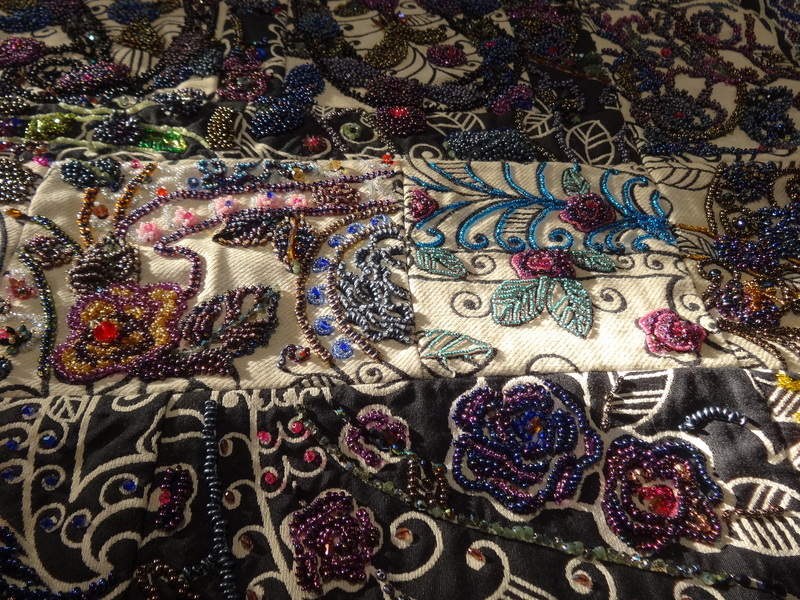 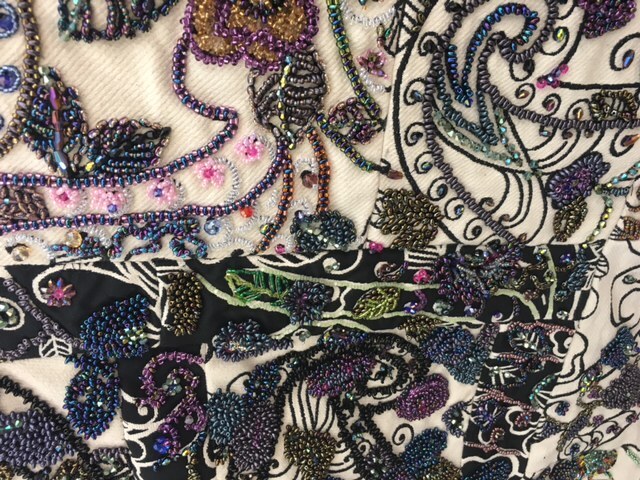 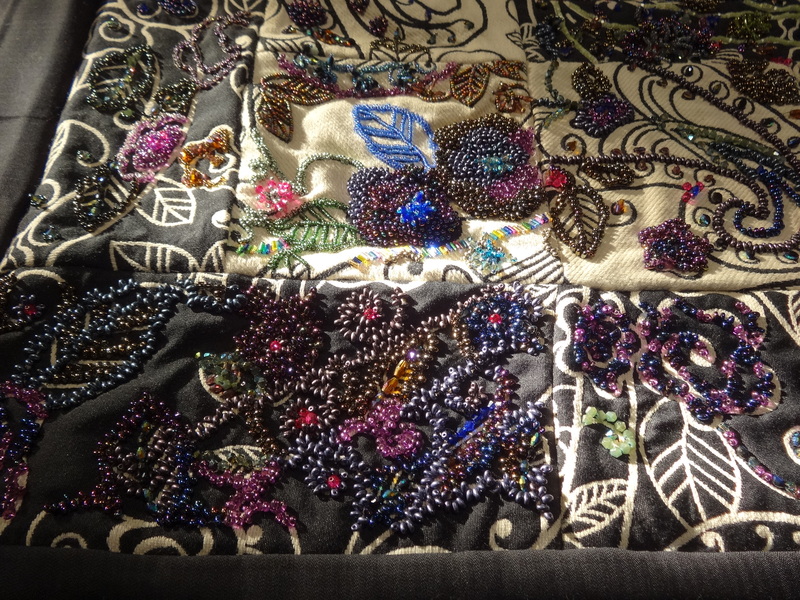 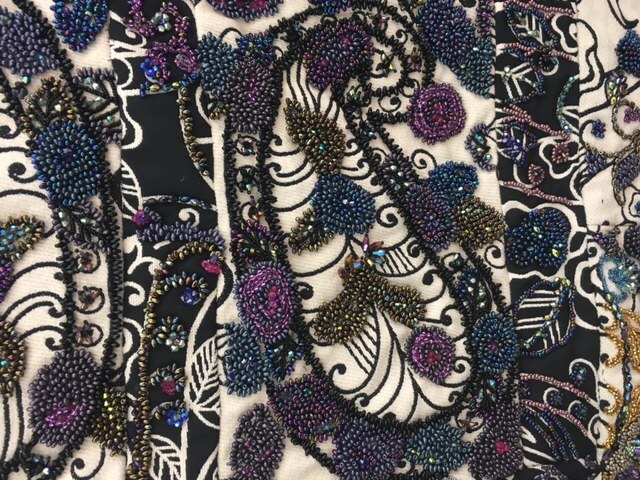 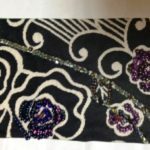 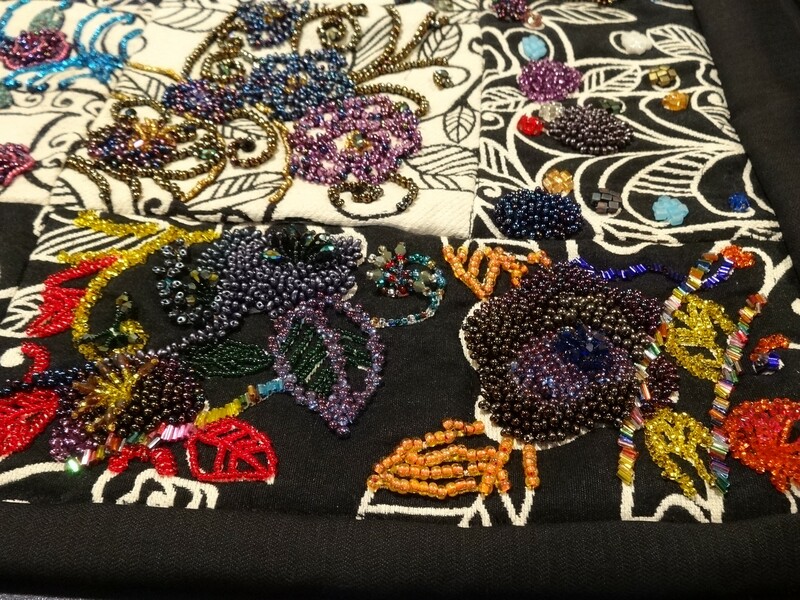 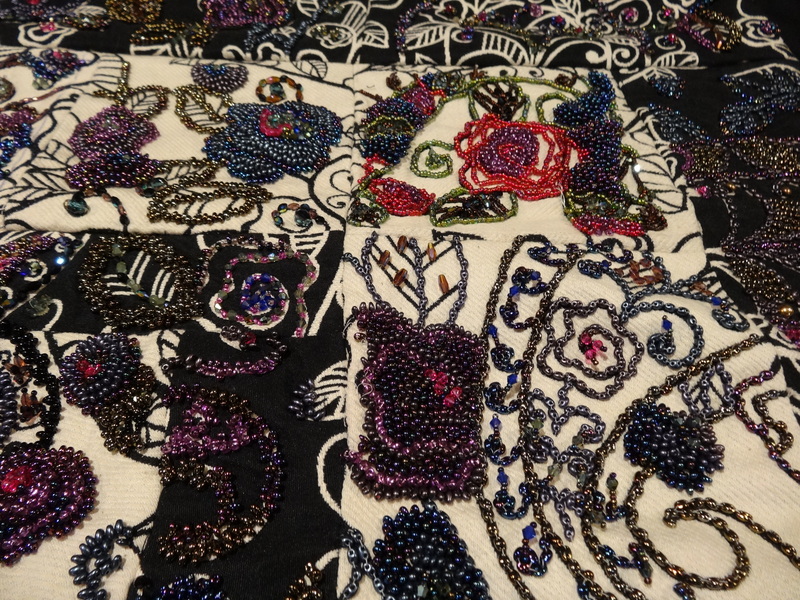 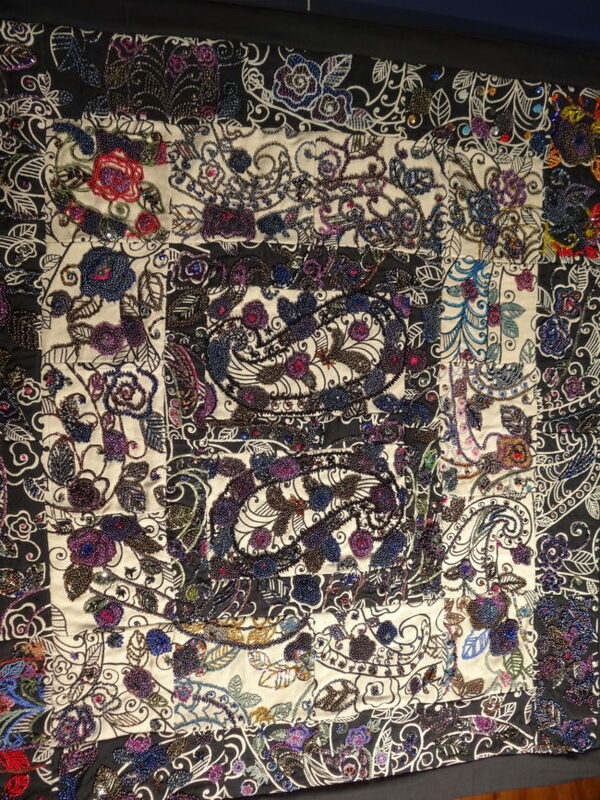 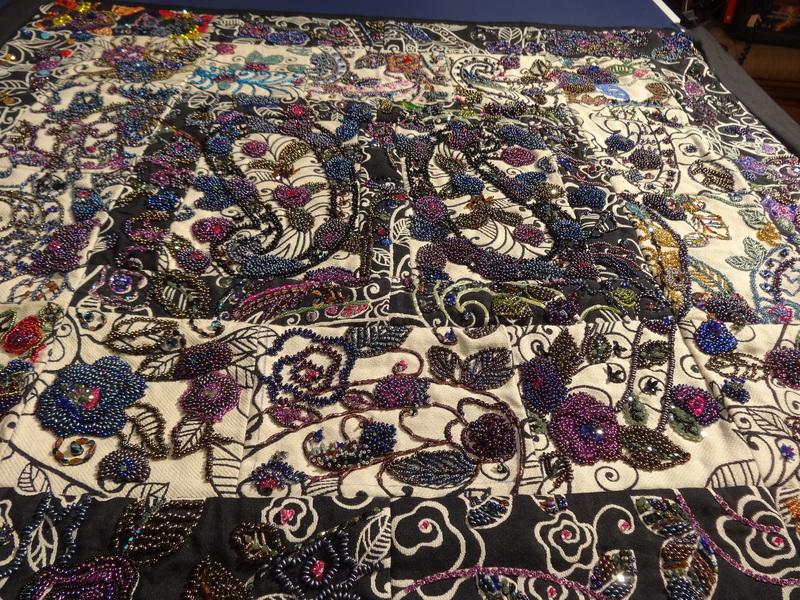 At the next monthly meeting, members voted in favour of a group project – a beaded quilt. 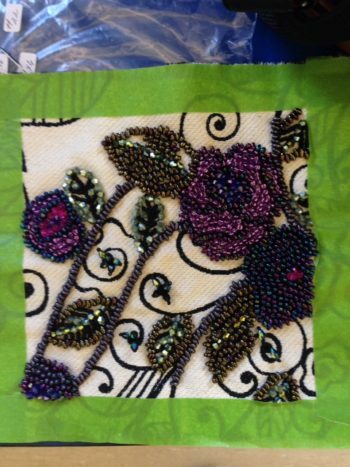 The Program Coordinator designed a quilt with patterned fabric that could guide the beading done by members. 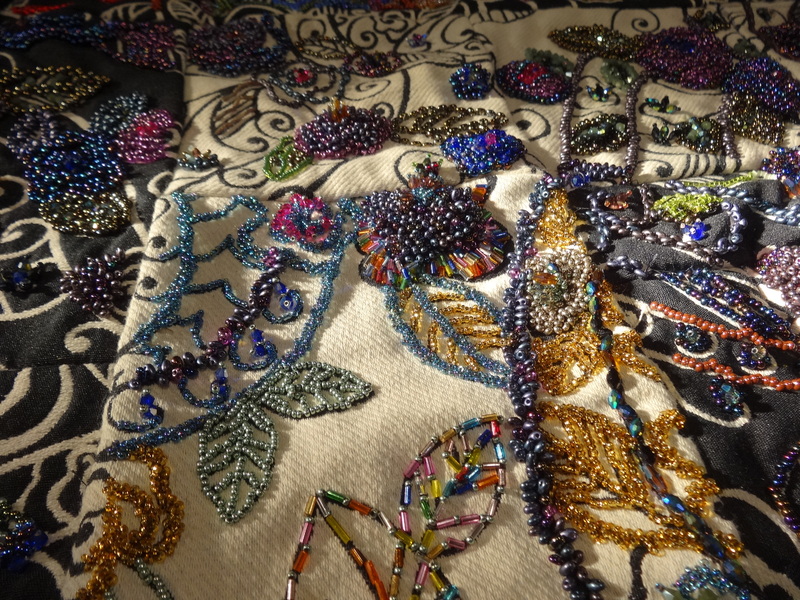 Look at all the beads! 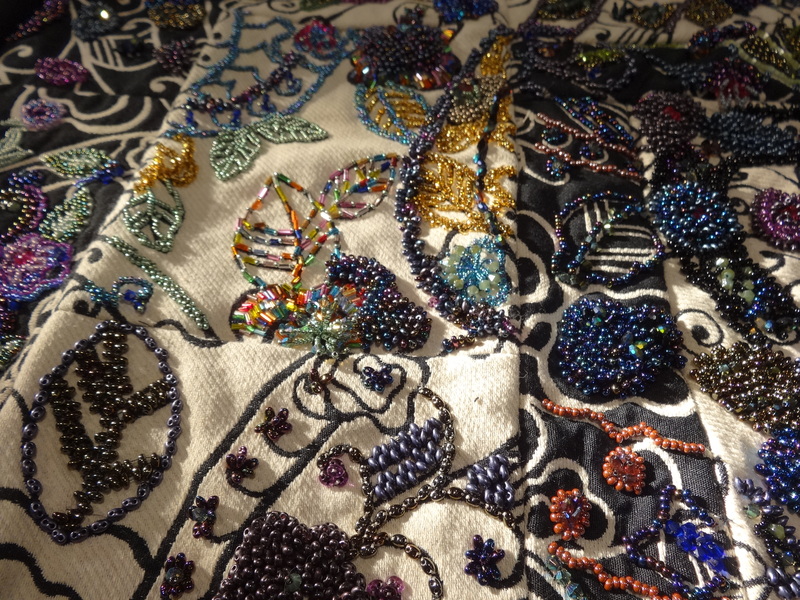 Partially beaded quilt square with white background. 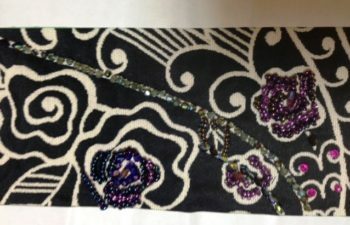 A one inch border was taped and left without beads, to allow for sewing the squares together into a quilt. 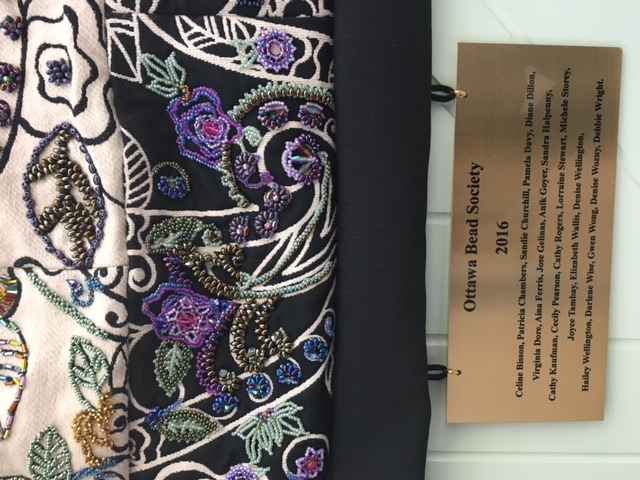 A plaque was attached to the bottom of the quilt, naming the members who participated by beading one or more quilt squares. 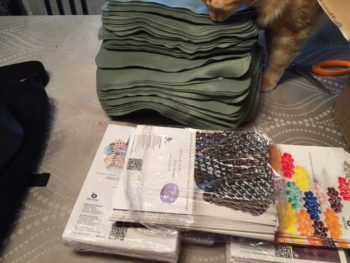 A big thank you to all the members who participated in this project! 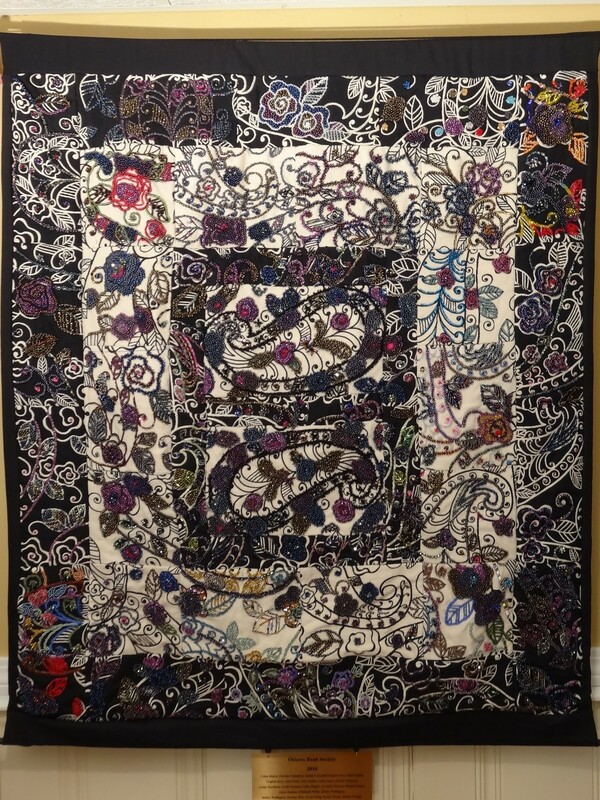 The finished size of the quilt is 39” x 46”, consisting of 37 pieces. 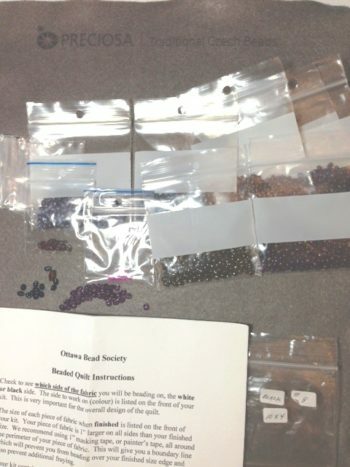 It will be displayed proudly at OBS related events such as the Ottawa Gem and Mineral Show. 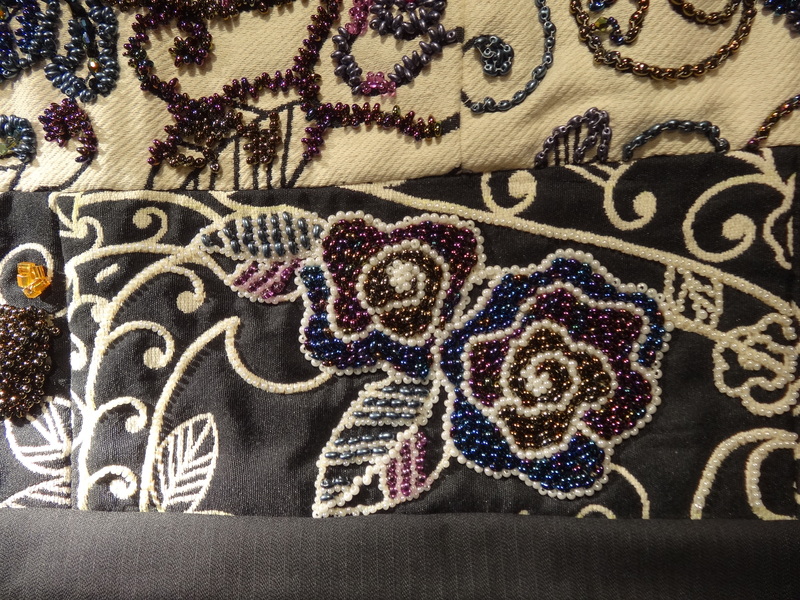 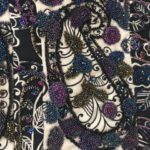 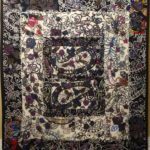 Click on each of the full quilt photos to enlarge for a clear view of the beadwork.